We make the best in town! Our shop sells the best Shakes in town. My business is really clean and we always get the job done no matter how big or small the order.Everyone does their job very well. We are a well known business here in Arizona, but we have many other locations as well. We make our cakes an cupcakes every morning and the drinks we make when you ask for them we make them in front of you .We are a very orignized business and work together as a team. This dish is made with real fruit. 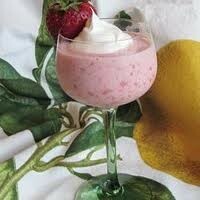 it can be virgin or a non-virgin drink.It is made with ice-cream,Strawberries and ice. Super easy to make for a hot day and you want to cool off. This dish is made with real fruit. 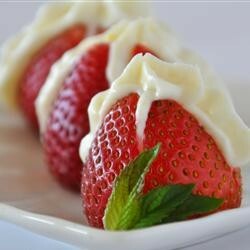 With this recipe you can use fresh strawberries or strawberries that have been in your fridge for a day or two. You also use confectioner sugar, cream cheese, and you can also use liqueur if you would like. This dish is good for wedding showers and for baby showers. This dish is super easy to make and super cute. This dish is made with real fruit. You can make cupcakes or a cake with this recipe. Tastes really good to eat just don&apos;t eat the whole thing by yourself or you will gain a few pounds. 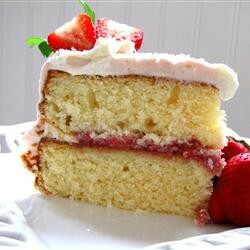 This cake is simple to make and is really pretty once it is finished. You can put the berries on the cake or beside the cake whatever looks good to you. Come on down to The Berry Shop! !